For some, the idea of visiting Africa and experiencing the beauties of Botswana is a lifelong dream. Imagine roaming that untouched African terrain in your fully equipped 4×4 vehicle, camping under the bright African stars and listening to the animals kept at bay only by the light of your fire. The prospect of embarking on a self drive safari, navigating your own course through the bush, self-reliant and surviving as close to nature as possible is, for many, a dream come true. But not everyone relishes the idea of having to “rough it”. While the dream of driving yourself around the wilds of Botswana is exciting, perhaps the idea of having to sleep in a little tent and cook over a small fire is not quite as appealing? This doesn’t mean the possibility of the perfect African holiday is lost however. 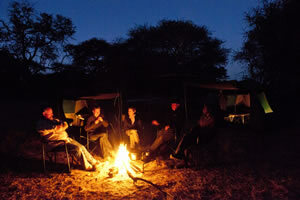 Travel Adventures Botswana offers not only self drive camping safaris, but self drive lodge safaris too! The Lodge to Lodge route mapped out by Travel Adventures Botswana allows visitors to enjoy the thrill of driving through wild Botswana while still resting their heads in the luxury of a comfortable hotel bed at night. Travel Adventures Botswana’s Lodge to Lodge self drive safari is an 11 day package that takes drivers from Maun to Kasane by way of 5 of Botswana’s beautiful Game Lodges. 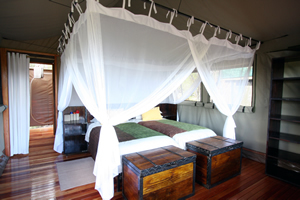 Guests can look forward to enjoying the hospitality of Thamalakane Lodge, Sango Camp Khwai, Meno-a-Kwena, Nata Lodge and Chobe Safari Lodge, including meals and activities at most of these lodges during the course of their 11 day adventure. With Travel Adventures Botswana’s Lodge to Lodge self drive safari, Visitors can look forward to drinking in all the wonder of the Botswana’s wild spaces and all the luxury of Botswana’s Game Lodges. What more could one ask for? 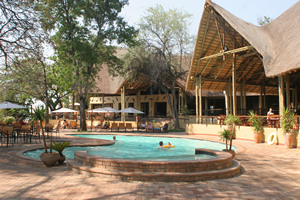 If you would like to chat to one of the Travel Adventures Botswana staff about booking your Lodge to Lodge self drive safari package all you need to do is click here.